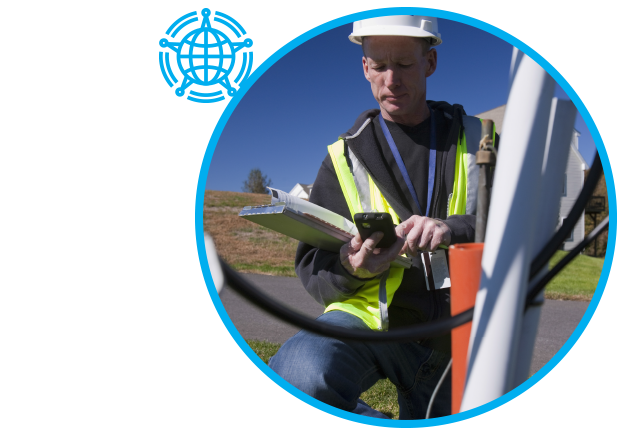 Federal and many local government agencies require that wireless site owners meet specific RF safety standards. According to the FCC, owners and operators must implement site-wide compliance efforts and document them to show they have a validated radiation safety program in place. Are you in compliance? Radio Frequency (RF) Safety is a primary consideration when planning the deployment of RF transmitting devices. Millions of RF transmitters are in existence today around the globe. Under most circumstances these devices are harmless, but there are scenarios where a hazard may exist and exposure to unsafe levels of RF radiation can occur. It is the operator’s responsibility to ensure that all FCC as well as any local or regional guidelines with regard to RF Safety are met. Comsearch can help. We have a long history of performing Radio Frequency Safety studies and developing RF Safety plans including site specific recommendations as well as employee training. We’ve performed theoretical studies and RF measurements for thousands of sites. We have a dedicated team of full time field engineers that can rapidly deploy and scale to handle numerous sites.